All Horse Property homes currently listed for sale in Phoenix as of 04/19/2019 are shown below. You can change the search criteria at any time by pressing the 'Change Search' button below. "PRICED TO SELL! Exceptional PRISTINE Equestrian Estate ready for you & your horses with extensive 1st class equestrian amenities. 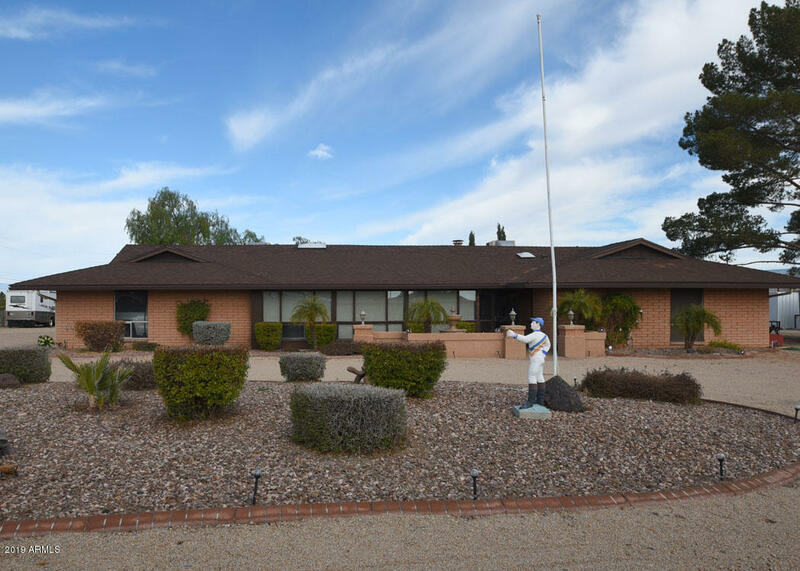 This 5 acre GATED estate is accessed by a paver driveway lined with roses and is fully fenced with easy to maintain white vinyl fencing. The 5 stall block stucco barn, with tongue & grove detailing in the tack room comes complete with inside wash racks. This truly is an upscale showplace with attached caretaker quarters/apartment and laundry facilities. High ceilings "
"Search no more! 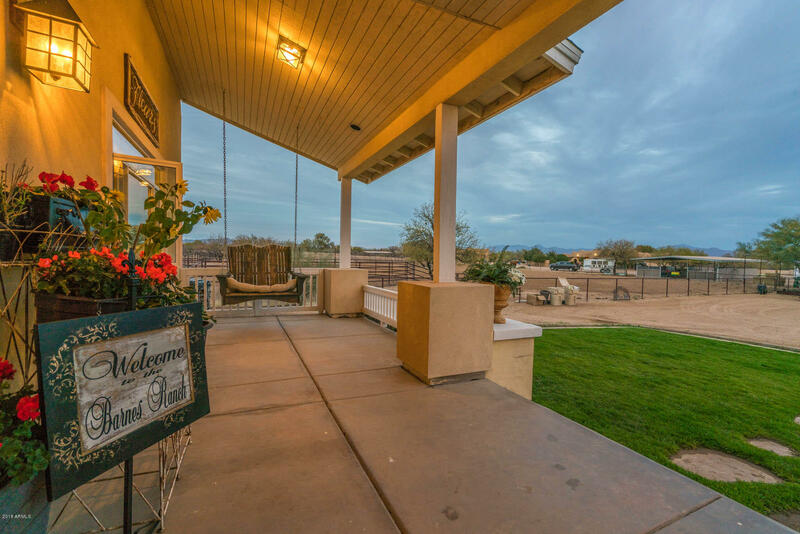 A rare opportunity to own 2.27 acres of the most immaculately maintained horse property in Cave Creek, along with a beautifully remodeled 3 bed/3.5 bath home. Paved roads, gated entry and fully fenced. 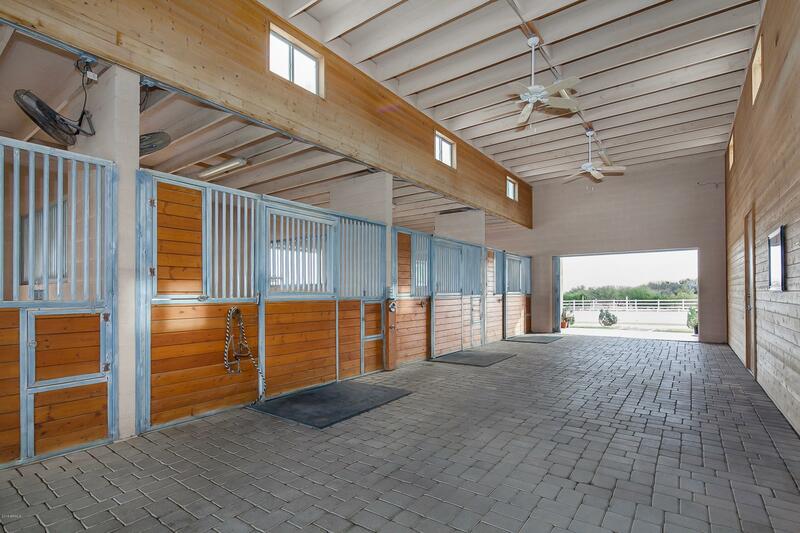 Top of the Line, LIKE NEW horse facility comes complete with 14 (fourteen) 16' x 16' stalls with Del Mar Panels for additional protection for your horses, POLYLAST flooring, SCHAEFER commercial fans w/speed controls, commercial vapor sealed fluorescent lights w/timers, RAINBOW wa"
"Schedule NOW! 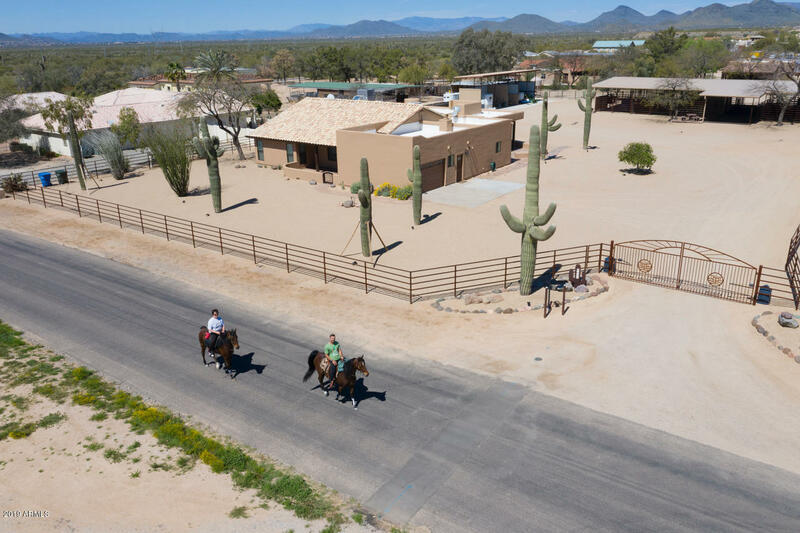 Situated on 5 acres, 1/8 mile north of Rio Verde Dr, this unique horse property is centered around an exquisite 3646 sq ft Craftsman style home and includes a complete 768 sq ft apartment over the attached garage, all with impeccable upgrades. Loads of room outdoors for expansion, to add additional out buildings for horse amenities. Easy trailering and deliveries from 144th St.Adaptable to any discipline. Leave the same or reconfigure the Priefert paneled 300' X 130' arena, and "
"Hard to find 2.5 acres! Don't miss this meticulous maintained, spacious home. A four bedroom with a bath for every room! Two masters, plus separate entrance room that could be mother in law suite. Solid block construction. Large screened in porch. New roof & water heater in 2016. Ideal horse set up with 6 stall mare motel with hay storage and tack room. Great arena with room to expand. Flat level property ideal for big rigs. Full Rv hookup 50amp with water and septic. 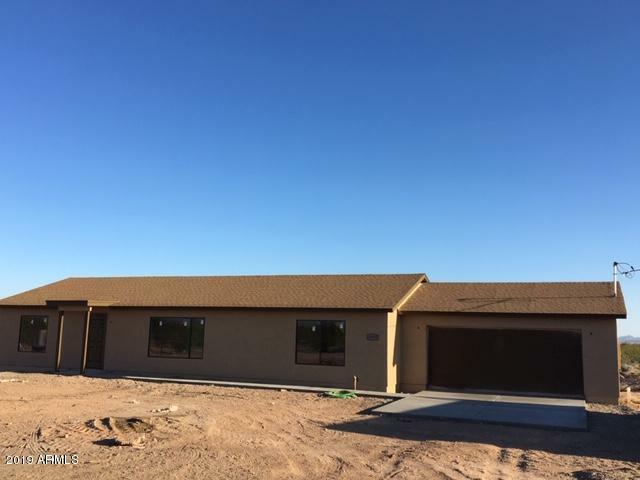 Fully fenced, garden and "
"$3,500 SELLER CONCESSION IS APPROVED (SEE REMARKS SECTION), BRAND NEW 1,512 SQ FT 3 BED 2 BATH HAND CRAFTED RANCH HOME ON A 1+ ACRE LOT WITH GREAT MOUNTAIN VIEWS, NO HOA'S SO BRING THE HORSES, RV'S AND TOYS!! 2 CAR GARAGE INCLUDED. SPACIOUS SPLIT SINGLE STORY PLAN. LARGE CHEF'S KITCHEN - GREAT ROOM CONCEPT, SLAB GRANITE COUNTER TOPS, 8 FOOT CEILINGS, ARCADIA DOOR IN GREAT ROOM, COVERED PATIO OPTIONAL, TILE THROUGHOUT EXCEPT IN BEDROOMS, THIS IS OUR STD. LINE MODEL. COMPLETION IS EXPECTED IN MID"